We'd like you to meet Maria Burd, the new weekend Care Coordinator with Off the Streets. She listens without judgement and has a passion for helping women because, as she says, "I've been through it, too." Preschoolers at our Winton Campus site learned about caring for farm animals when chicks, goats, a bunny, a piglet, and a lamb named Blackberry visited from Sunrock Farm. The visit, and books about farm animals, were made possible by a grant from The Greater Cincinnati Foundation™'s Summertime Kids initiative. A special place for special women, the Anna Louise Inn is celebrating an amazing 105 years of providing safe and affordable housing to women in our community. Our history of helping women began back in 1909 and has continued unbroken over 100 years into the 21st century! With that new century, we look forward to a new Anna Louise Inn and many more years of helping women find a place to call home. Cincinnati Union Bethel's preschools are run by dedicated and caring staff, including the site managers, who bring everything together. We're excited to introduce you to the newest site manager of our Millvale preschool, Ms. Chawna Piper. Reading with a Friend is Always More Fun! Our preschoolers love books and stories. This week they had special guests, Cincinnati Union Bethel board members, lead their storytime. We know the board members enjoyed it as much as the kids. Check out the pictures! This week is National Volunteer Week and we want to thank the many people who support our mission, often by doing not-so-glamorous work behind the scenes. Your dedication is so valuable to CUB and our clients. Thank you! This March, the Martha Kidd Foundation presented a check for $1,000 to the Off the Streets program to help fund a professional facilitator to help women engaged in prostitution seek recovery, safety and community reintegration. Thank you so much to everyone who participated in our Voices from the Heart raffle! 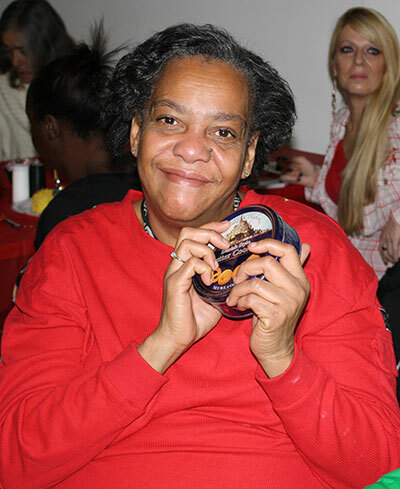 Your contribution goes to support the Off the Streets program so that we can continue to help women gain the self-esteem they need to make positive life changes that benefit themselves and our community. See who our lucky winners were! Instead of venturing out for Voices from the Heart, this year, we'd like you to enjoy Valentine's Day at home and support Off the Streets through our raffle. You could win $500 in gift cards, an iPad Air, trips to Michigan, Tennessee, Hilton Head or New York City, or a delicious dinner from Jeff Thomas Catering.